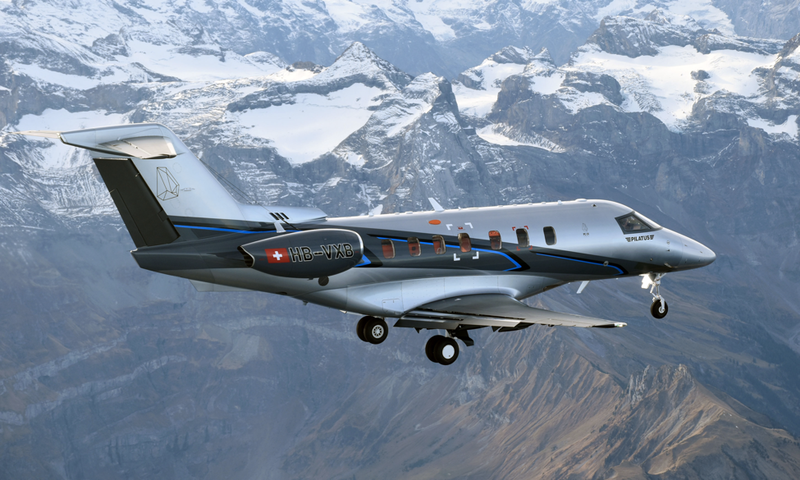 As the first ever jet created by Swiss manufacturer Pilatus, the PC-24 is sure to change the light jet category with distinguishing features that set it apart from competitors. Already having completed its first flight in May of 2015, the Pilatus PC-24 is scheduled to reach certification in mid 2017 with customer deliveries beginning shortly after that. 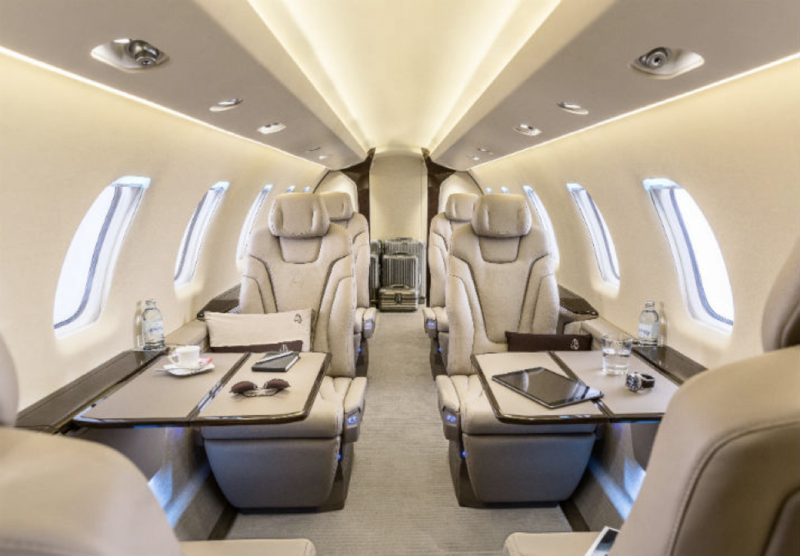 With a total volume of 501 cubic feet, the PC-24’s cabin is longer, wider, and taller than most light jets. It can comfortably seat six passengers with a flat floor design. 13 windows help to illuminate the cabin and compliment the light colored interior. On the left side of the aircraft, a large cargo door sits near the engines and is unique to the Pilatus PC-24. The 1.3m door offers 90 cubic feet of baggage space and is accessible in flight. 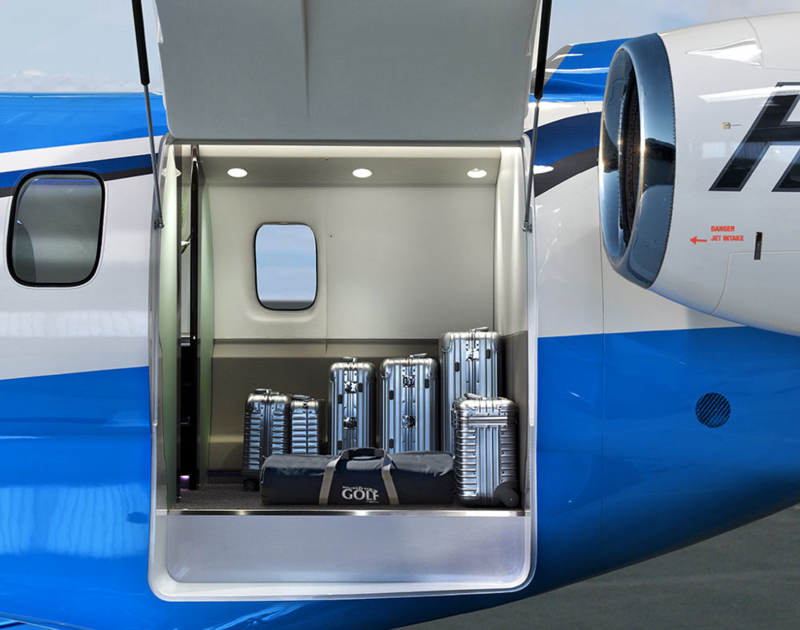 Adding convenience, the cargo door allows all luggage and equipment to be loaded from outside the jet. The PC-24 can fly 1,800nm with six passengers and has a maximum altitude of 45,000 feet. Dual wheel main landing gears give the PC-24 the capability of operating on both paved and unpaved runways smoothly. With the ability to take off at a distance of 2,690 feet and land at a distance of 2,525 feet, the PC-24 performs more like a turboprop. This means the light jet will be able to operate from tens of thousands of airports worldwide and will be functional even in remote locations. The light jet was also built and tested to withstand extreme temperatures and weather conditions including heat, water spray, and ice testing so that it can easily operate in most conditions. Two Williams FJ44-4A engines power the Pilatus PC-24 and provide 3,400 pounds of thrust. The brand new PC-24 jet will be certified for single pilot operations, although it can also fly with two. It will be priced around $8.9 million when it begins making deliveries in the coming months.